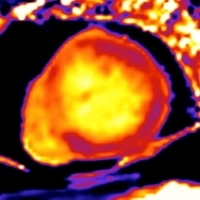 CMR has its unique capability to differentiate myocardial tissue even in non-ischemic heart diseases. Many imaging techniques developed for the differentiation of the myocardial tissue are applied on the clinical routine, already. Parametric mapping has been used increasingly to quantify myocardial injury during the last years. For that purpose it makes use of T1-, T2-, and T2* techniques. On some indications, like in the differentiation of hypertrophy or for quantification of inflammation, CMR has become part of the standard scan, if available. At the same time artifacts and patient related problems may result in misinterpretation, as well known from other new techniques.